Andrew Colman is a leading junior of great intellect and experience, held in high esteem for his particular ability to cut through complex issues of fact or law in order to get to the heart of the matter and for his fairness and integrity. Over the past ten years he has built up an impressive reputation in the field of Professional Regulation, applying his advocacy skills, honed in the highest levels of criminal practice, to the conduct of complex and lengthy cases before disciplinary tribunals and to statutory appeals and judicial reviews in the High Court. He also represents medical professionals at inquests. Andrew is a member of the Association of Regulatory & Disciplinary Lawyers, the Health and Safety Lawyers’ Association and the Criminal Bar Association and a former director of the Bar Mutual Indemnity Fund. 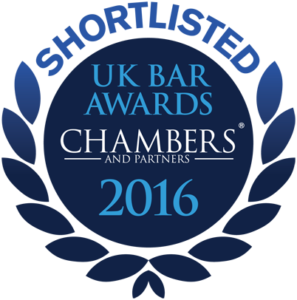 Andrew is recommended in the current editions of The Legal 500 and Chambers UK. Andrew accepts Direct Access instructions.